Yesterday was Christmas, and it was all that Christmas should be. 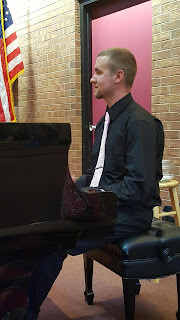 On Christmas Eve we had our traditional buffet dinner at 4:00, so that Christopher could head off early to church to finish rehearsing for his role as pianist for the high-profile Christmas Eve "carols and lessons" service. This was a "bucket list" item for him - to play on this most holy evening - and his proud mother can report that he performed beautifully. Christmas morning two little elves appeared in matching elf pajamas. Great was the joy as we opened the mountains of presents left by Santa and ate cinnamon rolls from the recipe of my mother (who so loved her Christmas birthday). We then played with the presents until Christopher, Ashley, and the girls left for THREE more Christmas gatherings with Ashley's extended family, and Gregory and I assembled the jigsaw puzzle he had gotten me as a gift: a covered bridge-in-autumn scene to reflect my abiding love for the covered bridges of my adopted state of Indiana. (I still can't stop some of my pictures from appearing rotated despite saving them a thousand times in a re-rotated position!). Now it is the Day After Christmas, and I'm totally ready for it to be New Year's Day. I'm ready to start my Whole New Life. I'm planning for January to be Buy Nothing Month, where I purchase absolutely nothing except for food and a minimal amount of gas for the car, to offset the money hemorrhage of the holidays. I'm planning for January to launch a year of dazzling writing productivity where I've set myself the goal of submitting one substantial manuscript (creative or scholarly) every single month. I have my little notebook for 2017 all ready to start listing my year's goals in every aspect of my life. I wish it were 2017 right now! So I decided: why not start my new year today? If Auntie Mame could sing of needing a little Christmas, right this very minute, candles in the window, carols on the spinet, I can proclaim my own need for a little New Years's, right this very minute. Instead of hauling out the holly and slicing up the fruitcake, I'm going to take a good long healthful walk, read a mentee's manuscript, and - gasp - face revisions on a major manuscript of my own. And spend nothing, not one cent! And eat leftover broccoli instead of leftover Christmas cookies! (Well, maybe just a few leftover Christmas cookies). Happy New Year! May 2017 be a year of love and joy - and if you're enraptured by work like me, promise and productivity - for all of us. I have two self-assigned seasonal "jobs" I take on each year in our small church, St. Paul's United Methodist Church, about half a mile from my house in Boulder. I'm in charge of our "Mitten Tree" decorated with warm socks, hats, gloves, scarves, and yes, mittens, for the homeless. And I organize and lead caroling to a nearby retirement community and to our church shut-ins. Both involve singing, and both remind me of how much the joy of Christmas is celebrated in song. The Mitten Tree involves singing because I "wrote" a song to accompany this ministry. Our first ministry of Christmas giving to the homeless was started by a former member who moved away perhaps twenty years ago. It was our "Shoebox Gifts for the Homeless" ministry, which involved handing out empty shoeboxes on the first Sunday of Advent, to be filled by the congregation with small toiletry items, warm hats and gloves, and little candy treats, then gift-wrapped as presents for individual homeless persons at the Boulder Shelter for the Homeless. I have to admit that this ministry was a huge pain for the person in charge - that is to say, for me - because it involved asking various local shoe stores to save empty shoeboxes, then going to collect the boxes (usually on Black Friday, when the parking lots were at their most jammed and the stores were at their most crazed), and finding out the stores had just given the boxes away to someone else who showed up first for their shoebox ministry or holiday craft project. I was worn to a frazzle with shoebox stress. Deck the halls with old shoeboxes. Fill the bottoms and the topses. Fill with gifts to give the homeless. 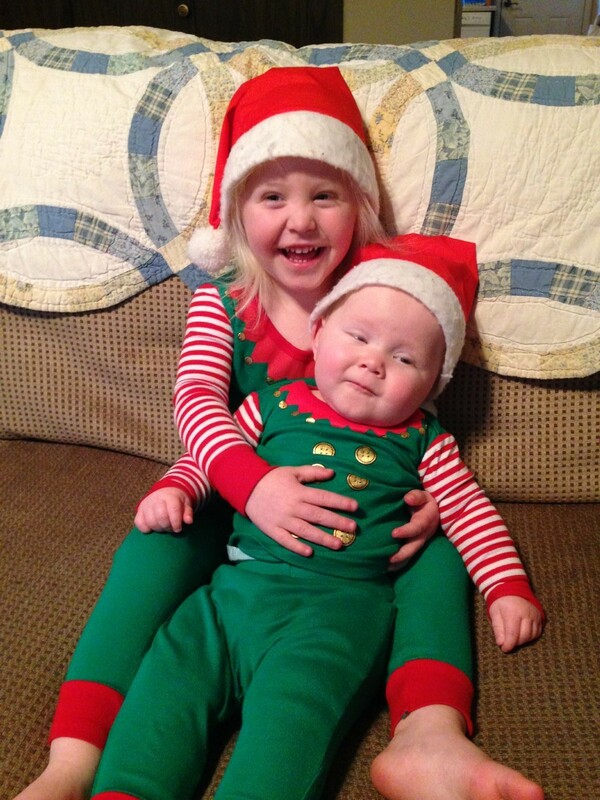 Thus, we share the joy of Christmas. It was a relief to me when the shelter told me they no longer wanted individual wrapped gifts, and we switched instead to the Mitten Tree, where all I have to do is collect the offerings in trash bags and take them en masse to the shelter instead. Of course, a new song was needed. You can guess the tune for this one, too. O Mitten Tree! O Mitten Tree! We come to fill your branches. We give to share our Savior's love. We come to fill your branches! I noted yesterday that the branches are indeed filled completely. I'll gather up the "ornaments" and take them to the shelter tomorrow. The church caroling is its own jigsaw puzzle of coordination, as places don't want us to come during residents' nap time (so preferably not before 3) or during residents' dinner time (which can be as early as 5 or even 4:45). And the places we visit are not all that close together. And we want to be able to linger and chat and share holiday cheer. And yet to hustle on the next stop. I never know if anybody from the congregation is going to show up to sing with me, given the busyness of schedules in December. What if it's just me, in my scratchy, squeaky, altogether irritating sort-of soprano? But it always does work out, as it did yesterday. We started out at the Meridian, doing an actual performance for half an hour or so in the living room, accompanied (brilliantly!) by my son Christopher. I handed out song books, and everyone sang their hearts out for two verses of every single classic carol. Next we visited Mildred, sharp-as-a-tack at 102 (! 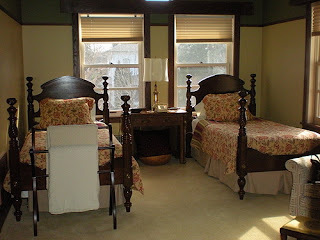 ), and always so warm and welcoming when we crowd into her small and beautifully decorated room to sing. Last stop was our visit to Arline, in a memory care unit at a place we had never visited before. Our instructions said not to come in the front door, but the back door, where we should ring the doorbell for admittance. But there was no doorbell! And it was ten degrees outside! By the time all that was sorted out, we were running even later and feeling even guiltier. Finally, though, we were inside, and it was warm, and a few residents were there to hear us. 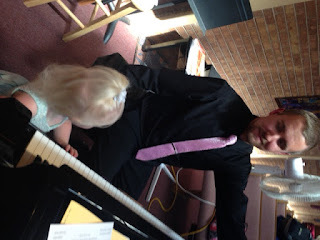 There was a worn upright piano, and Christopher played to assist our tired voices. Residents who remember so little of who they are and where they are could still remember the lyrics to "Hark the Herald Angels Sing" and "Silent Night." They sang with us, word-perfect. One, pushing several teddy bears in her walker, even started dancing to "Jingle Bells" (a resident's request). The Nativity story in Luke 2 related the angels "saying" to the shepherds, "Glory to God in the highest, and on earth peace, good will to men." But I'm sure they sang it. As I learned again yesterday, Christmas is the season of singing. My car is totaled. The Geico adjuster estimated that the repairs would be in the neighborhood of $7800; I bought the entire car (previously owned) five years ago for $8000. Spending so much on repairs would make little economic sense. 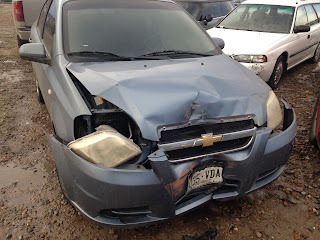 I gave the adjuster man the title; he gave me a check for $5307.26, their calculation of what it would cost to purchase a vehicle equivalent to the one I just wrecked. I looked at that check - a fairly paltry one for the purposes of car shopping, but quite a nice one in its own right. Ooh! If only I didn't have to use that check to buy a car! If only I could just HAVE that money to refill my ever-depleting coffers and fatten my ever-shrinking purse! Then, as I drove home, check tucked into my purse, I started to think: what if I DIDN'T buy a replacement car? What if I DID just hang on to that money? I thought some more. My son and daughter-in-law, and their two little girls, live with me. Both Christopher and Ashley own cars. Christopher uses his to go off to work every day. But Ashley is a stay-at-home mom and plans to be a primary caregiver for the foreseeable future. She's taking courses, but online. She hardly drives anywhere. Even when I had my sweet little Chevy Aveo, I hardly drove anywhere. When feasible, I greatly prefer to walk or to ride the Skip, one of Boulder's extremely excellent buses. Did our extended family really need TWO cars sitting around for 90 percent of the time, costing us money that we'd just as soon spend on something else? What if Ashley and I shared both the use of her vehicle and the costs associated with it? Wouldn't this be a win-win situation for both of us? And, if this gave us an incentive to drive less (which it definitely will, for me), a win-win both for us and the planet? So this is our plan for now, to be a two-car rather than three-car family, to coordinate, to share, to take turns, all of those good things. If we don't like it, that $5307.26 is right there in my bank account, swelling the balance but pledged to remain untouched. I've been saying that I want to make 2017 a year of greater frugality, with more mindful (and just plain less) spending. The slushy stretch of road last week that totaled my poor little car has just given me that chance. I have come to think of myself as a Lucky Unlucky Person. Case in point: two years ago I was hurrying to the mailbox to get the mail, tripped, fell, and broke my foot. Unlucky! But then it turned out that I was non-weight-bearing only for two measly weeks (which admittedly felt more like two years). Lucky! Second, more disturbingly recent, proof of my Lucky Unluckiness. This morning I was happily bustling off to do some Christmas shopping when I lost control of my car on a stretch of slushy road not too far from my house and careened head first into a four-foot-diameter concrete utility pole. Unlucky! If only I had zoomed off the road just a little bit on either side of the pole, I would have skidded to a bumpy stop in an open field. Double unlucky! 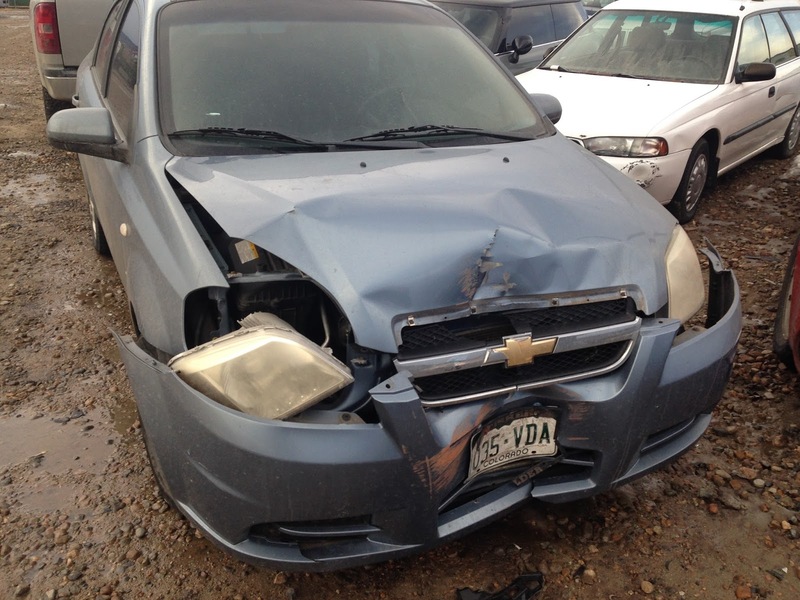 The whole front of the car is smashed in, and I think my sweet minimalist 2007 Chevy Aveo with the roll-down windows (the reason I bought the car) is going to be totaled. Triple unlucky! But right now I have to say that I'm feeling like the Luckiest Unlucky Person in the world. I didn't hit anybody else's car. My precious granddaughter wasn't in the back seat with me. It's still hard to believe that this happened. I'm shaken, stunned, haunted by the specter of what might have been. But what might have been DIDN'T happen. So I'm weak with gratitude for my Lucky Unlucky Day. One of my projects this fall, extending through the winter and into next spring, has been serving as a long-distance thesis adviser for a student in the Graduate Program in Children's Literature at Hollins University in Roanoke, Virginia. I taught in that program for a blissful summer in 2014 and will teach there again for what is sure to be another blissful summer in 2017. The student whose creative project I'm currently advising was a beloved member of the small class on "chapter book" writing that I taught at Hollins two years ago. Amy's thesis involves writing two different picture-book biographies as well as extensively revising the charming chapter book she began in my class. I was delighted when she asked me to work with her again. Over the past few months we've devoured a huge heap of picture-book biographies and analyzed them together (via phone); I've also read through several drafts of Amy's two biographies and her 12,000-word chapter book and made suggestions for revision. It's a joy to advise such a super-smart, super-motivated student. It's also a lot of work, not something that one takes on lightly. But I have found that whenever I do a project like this one, just out of love, I get back not only the joy of the project itself but other unexpected gifts. This time the first gift I got was inspiration to work on a picture-book biography of my own, returning to an idea that came to me several years ago on which I had done precisely nothing. I won't share the idea yet, because it's still a bit too new for public announcement , but it had the potential to grow into something lovely - provided, of course, that I actually sat myself down to research and then write the actual book.Thanks to my entering on this picture-book biography journey with Amy, this is what I finished doing last month. That was unexpected gift number one. Unexpected gift number two arrived this morning. 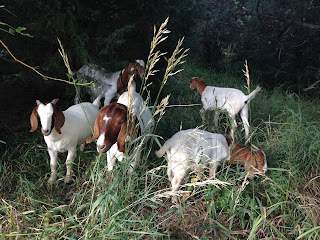 I had shared my manuscript with some writing friends for their feedback and received some encouragement, but I had the uneasy feeling that some things were just plain not working in the text as written. The friends who offered comments are terrific writers, but without experience specifically in picture-book biographies. Oh, well, maybe the text was fine as it was. But something about it still seemed off. Amy knew I was working on a picture-book bio of my own and asked to read it. I felt shy letting her see my flawed manuscript because, frankly, her two books-in-progress are in my view considerably stronger than my own, and it seemed a sad state of affairs for the teacher to be SO much less advanced than the student. But Amy truly seemed to want a peek at what I was working on, so I made myself send it off for her comments, trembling with trepidation. I read her critique an hour ago. It's brilliant. It's insightful. It gently locates every spot that needs more attention with fabulous thoughts for how to revise the book to its full potential. Fixing the manuscript is now going to be a piece of - scrumptiously delicious - cake. So I got not one but TWO unexpected gifts from this labor-of-love. I now know to expect unexpected gifts. I never know in advance the exact form they will take: that's why they are unexpected gifts. But I know they will come in one form or another, unknown blessings already on their way, for which I will be forever grateful. First of all: Texas is BIG. The man at one of the gas station convenience stores where we stopped along the way corroborated this observation: he claimed that the drive across Texas at its widest point, from New Mexico to Louisiana, is longer than the drive from the northern border of Texas up to Canada, and the drive from Texas's southernmost to northernmost point is also longer than driving from Texas all the way to the U.S./Canada line. So the drive was LONG, thirteen full hours plus the hour we lost from the time change plus the hour or more we stopped for breakfast, lunch, gas, and snacks. It turned out, however, that I had a secret weapon in my possession for making the miles (well, sort of) fly by. Phone in hand, I Googled every "brown sign" attraction we passed, edifying myself and my fellow travelers by reading aloud the detailed Wikipedia description of each one. In southern Colorado we learned about the heartbreaking Ludlow Massacre of striking coal miners that shocked the nation's conscience and led to lasting reforms in labor law. In western New Mexico we learned about the Capulin Volcano National Monument, which last erupted perhaps 60,000 years ago (though we kept our phone cameras at the ready in case it should emit a whiff of sulphorous smoke as we sped past). In Texas, I turned to the task of Googling every tiny or not-so-tiny town we crossed. Without fail, I found some tiny tidbit of fascinating information. Dalhart, Texas, in the western Panhandle, is closer to SIX other state capitals than it is to its own capital of Austin: Santa Fe, Oklahoma City, Denver, Cheyenne, Topeka, and Lincoln are all closer than the 570 miles that separate Dalhart from Austin. Childress, Texas, engaged in a heated dispute with nearby Henry, Texas, over which emerging town should have the honor of being named county seat (such disputes featured in the Wikipedia entries on just about every county seat we passed). Childress won the first election, which was subsequently challenged by the Henry-ites because Henry had the smoother terrain for erecting a railway depot (proximity to the railroad was significant to the founding of many Texas Panhandle towns). Solution: Henry was renamed Childress, and the folks from Childress-1 moved to Childress-2, and all was well. Memphis, Texas, got its name in this way. For a long time the town was without a name, as federal postal authorities kept rejecting suggested names as too similar to names of towns already established. Finally, one of its founders, on a trip to Austin, "happened to see a letter addressed by accident to Memphis, Texas, rather than Tennessee, with the notation 'no such town in Texas.'" Ooh! A name that wasn't already taken! And that's how this no-name hamlet became Memphis, Texas. Estelline, Texas (population 145 in the last census) was ranked by the National Motorists Association as #1 on their list of "Worst Speed Trap Cities in America": Estelline has a "one-person police force whose main purpose is to wait for speeders." We slowed down. Your ought to see me do my stuff. You ought to see me strut. The tune is indeed catchy, as you can hear for yourself in this recording by Bob Wills. Naturally we were thrilled when we passed the Window on the Plains Museum in Dumas and stopped to purchase our Ding Dong Daddy pins and refrigerator magnets. Not a bad way to pass the time driving for hours, and hours, and hours, across western Texas. . . . Tomorrow I leave on a road trip with my nephew Terry and his son Zach, driving 13 hours from Denver to Dallas for a "Thanksmas" reunion of one branch of the extended Mills family clan. I'm looking forward to reconnecting with loved ones I haven't seen for a year, as well as engaging in hokey, happy family fun. As we did last year, we'll observe Thanksgiving on Thursday and Christmas on Saturday; on Friday we'll have a huge shopping trip to the poshest mall in Dallas (the Galeria), where we will ask total strangers to award prizes for our loud, proud Christmas sweaters. It will be bliss when we get there, but tomorrow's long drive will be blissful in its own right: a day on which there is absolutely nothing I have to do except for drive, drive, drive, Actually, since Terry loves to drive and plans to do all of the driving, there is nothing I have to do except for ride, ride, ride. We'll leave a 4 a.m. - ooh! That is part of the fun of a road trip, to depart in the pre-dawn darkness. We'll have snacks for the car - ooh! And rest stops along the way - ooh! We'll listen to music, and chat, and gaze out the window, recalling Emily Dickinson's lines about a different form of transportation, the railway: "I like to see it lap the Miles/ and lick the Valleys up..." But mostly we'll do nothing except move through 800 miles of landscape. Today my pre-trip to-do list has 29 items on it (admittedly most of them are teensy-weensy ones such as "send get-well card" and "put more cat food in the cat food jar"). Tomorrow it will have just one. Many years ago we had a family raft trip on the Green River in Utah, with professional guides to row us on our way. On the second or third morning, I asked one of the guides what we'd be doing that day. She looked at me with mild astonishment that I needed to ask the question: "Why, go downstream," she said. That was another day with only one item on the to-do list. Don't get me wrong. I ADORE making to-do lists for every month, every day, sometimes even for the coming hour. But once in a while, it's sweet to have a day with only one item on it, one I won't even bother to cross off with a bold red mark at the end of the day because for once, the list matters so little. This November has been a hard month for many of us, including me. My salvation during dark seasons of the soul has always been to revisit the books I loved as a child, loving them more deeply with each re-reading. I pull from my shelf one of the Betsy-Tacy books of Maud Hard Lovelace, or the Shoes books of Noel Streatfeild, or the Moffats books of Eleanor Estes. My friend Diane says (accusingly) that I retreat to my "Betsy-Tacy bubble." The charge is well founded. But sometimes the only way I can survive the reality of the present is to re-inhabit fictional worlds of the past. Here's what I love most about these books: they are suffused with kindness. This isn't to say that their characters don't quarrel. Betsy and her sister Julia have a heated disagreement in Betsy and Tacy Go Over the Big Hill in which the whole town takes sides. Lala seeks to destroy her best friend's promising skating career in Skating Shoes. 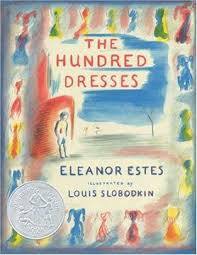 Estes's Newbery-Honor-Book The Hundred Dresses gives a portrayal of bystander complicity in bullying that is unsurpassed since its publication in 1944. In all of these stories, however, those who act badly - as all of us do sometimes - are heartbroken at how they have hurt someone else. Those who do wrong - as all of us do sometimes - try to make it right. Sometimes they succeed; sometimes they fail. But always they try. This from Betsy and Julia: "Then from the other side of the bed [Betsy] heard a sound. It was a sob, a perfectly gigantic sob. 'Betsy'! cried Julia, and she came rolling over and hugged Betsy tight. 'I'm sorry.' 'I'm sorry, too,' Betsy wept." This from Lala: "I've been an awful beast, the nastiest beast that ever, ever was." At last Maddie sat up in bed and pressed her forehead tight in her hands and really thought. This was the hardest thinking she had ever done. After a long, long time she reached an important conclusion. She was never going to stand by and say nothing again. If she ever heard anybody picking on someone because they were funny looking or because they had strange names, she’d speak up. Even if it meant losing Peggy’s friendship. She had no way of making things right with Wanda, but from now she would never make anybody else so unhappy again. and Pinky Pye by Eleanor Estes. Last night, I gave it one final proofreading and sent it off as a submission to the Children's Literature Association Quarterly. Now it will undergo the arduous process of double-blind review, where two scholars in the field will read it, not knowing my identity as I will not know theirs, and send extremely challenging comments for still further revision, I won't hear back from them for perhaps three months. But at least it's off my desk and onto someone else's, and what a wonderful feeling that is. Work has also always been for me an antidote to despair. How I love the adrenaline rush of pushing onward toward even a self-imposed deadline, and then the thrill of attaching a file to an email and pushing SEND. But this time what I loved best was the excuse to spend so many hours poring over every line of two of Estes's best-loved books. No one has ever understood what it is like to be a child better than Eleanor Estes. She gives children the gift of being truly seen, with loving eyes, for who they truly are. I wish all of us that gift in this month of late autumn darkness, for today and always. Over the past years, a number of my friends have taught classes in a prison setting. They've consistently reported this to be an enormously satisfying experience. This morning, for the first time in my life, I joined them. It produced 90 of the most satisfying minutes I have ever spent. Through the efforts of my DePauw University colleague Kelsey Kauffman, a tireless champion for prison reform, the university has formed ties with the nearby Indiana Women's Prison (IWP), America's oldest women's-only prison, founded in 1873. In one of Prof. Kauffman's history courses at the prison, some of her students embarked on an astonishingly ambitious research project: the history of this very prison, the first such history written by prisoners themselves. Their work, which challenges and complicates simple narratives about the benevolence of the prison's founding, has since achieved publication in academic history journals; you can read about it here. This semester another colleague, Professor Martha Rainbolt, is teaching a children's literature course at IWP with six incarcerated women. She invited me to guest-teach today's class, assigning the students my upper-middle-grade novel Zero Tolerance to ground our discussion. The book is based on a real-life case of a seventh-grade honor student who brings the wrong lunch to school by mistake, a lunch containing a knife to cut her mother's apple; both the real-life student and my fictional student turn the knife in to adult authorities immediately - and both find themselves facing mandatory expulsion under their school's zero tolerance policies as a result. I have to admit I was nervous about the class. How would incarcerated woman, facing long sentences in a maximum security prison, view my story about an upper-middle-class, goody-goody girl anguished by the much less serious consequences confronting her? Would I be able to connect with them across our very different life experiences, especially given that I would have to do it via a Skype-style connection over the prison's electronic conferencing system? Would they find me glib and insensitive? Would I be glib and insensitive? All of my fears were unfounded. The students were WONDERFUL: so smart, engaged, insightful, and even reassuring to me when I expressed worries about the ways I had handled certain situations in the book. They had read the book closely. They had thought about it deeply. I had wondered if we would be able to fill a whole hour; instead we talked for over an hour and a half. They asked me hard questions - such as whether I have ever thought of writing from the point of view of someone from a different race from my own. Some of them want to write children's books themselves, particularly focused on the situation of children of incarcerated parents (some two million right now in our country). I have every confidence their books would be well worth reading. Toward the very end of the class, into the lower edge of the computer monitor appeared a big, shaggy . . . dog! There he was, a seventh member of the class. The student in charge of him shared her experiences raising and training service dogs for disabled children and adults, right there in the prison, including a dog who went home ultimately with an autistic boy, becoming his bridge from inner isolation to wider community. I told her: you need to write that story! Now I want to do this again. I want to meet again with these women and with other women prisoners. I want to help them write their stories, and publish their stories, and find readers for their stories. I'm so grateful to Kelsey Kauffman for bringing this university-prison partnership into being. In a week that feels so dark and hopeless for so many in our nation and our world, I'm grateful for the steady, cheering light of this small but powerful candle. Greetings from Northfield, Minnesota, where the town motto is - truly - "Cows, Colleges, and Contentment." And a fitting motto it is. I did indeed see cows on my ride from the Minneapolis airport; the colleges are the two liberal arts gems Carleton (host of my visit) and St. Olaf; and so far, four hours in to my two-day visit, I am thoroughly contented. More than anything, I love when I can be my whole true self, so I'm grateful that my host, Prof. Daniel Groll of the Carleton Philosophy Department, went to the trouble to arrange so many different kinds of activities for me during my visit. Of course, as soon as I saw it I was ready to stay here for the rest of my life. I had barely chosen my bed (the one on the right) when it was time to head out for my first event, a talk and signing at the small independent bookstore downtown, Content Bookstore (pronounced CON-tent, and offering much great literary content, but also leaving customers con-TENT-ed). 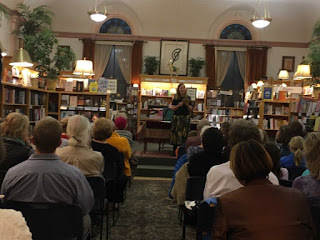 I expected to have no audience at all, because after all that is the story of an author's life once she shows up in a town where she knows nobody and nobody knows her. So I was most agreeably surprised to have an audience of a couple dozen children, parents, and aspiring writers, and to leave feeling that I had made a new friend in owner Jessica Peterson White. Tomorrow morning I guest-teach Prof. Groll's class, a first-year seminar entitled Family Values, where the students will have read two articles of mine. That afternoon I'll present a work-in-progress to the Philosophy Department. On Tuesday morning I'll visit two third grade classes at Greenvale Park Elementary School followed by a luncheon talk at the college. Then I'll fly home, tired, happy, and VERY glad for 48 hours of distraction from a certain election. Right now I'm totally grateful for cows, colleges, and most of all, contentment. Many of my friends know that I love the beginning of each new month, for its promise and potential. In fact, I always start an entire new life on the first day of a month: a life in which I'll be frugal, fit, and astonishingly productive. I make specific goals for each month. As often as not, I fail to achieve them. But I generally come closer to attaining them than I would have if I hadn't made them a new-life priority. 5) Figuring out "this work/family/life balance thing. Goal #5: Not really the kind of goal that could ever be done, but maybe some progress had been made. This was not a glowing report card to give myself. I was ready to tell myself, as I so often do at the end of the month: Oh, well, I guess this month's new life didn't work out, but a new month is about to begin, and everything will be different next time, everything! But then I remembered the therapist/life coach whom I used to see many years ago when I lived in Maryland. One month I went to report to her on the morning of the 30th day of a 31-day month, to confess my month's total failure. And she said words I've never forgotten: "There're still two more days." This month, after tabulating my disappointing balance sheet of successes and failures a couple of days ago, I remembered those magic words from Judy Alexander: "There're still two more days." And in my case this time: FOUR more days! I'm proud to report that ten minutes ago I crossed off Goal #1: I finished and sent off a book proposal for a new chapter book series to my editor. I think it's good. I think they might take it. And if they don't, they'll give me feedback that will get me that much closer next time. So even though Goal #2 was a total bust, and Goal #4 was a total bust squared, and Goal #5 was un-doable, I accomplished Goal #3, which mattered to me, and then, with hours to spare, I pulled off Goal #1, which is probably the single most important goal for my long-term future right now. Advice to self (and to you, if you want to use it): Don't give up prematurely on a month (or a day, or a week, or a year, or a lifetime). Don't write off October on October 28th, or October 29th, or October 30th. Or even on Halloween morning. It's possible to achieve a major life goal even as the finish line looms. There're still two more days. When I first became a published children's book author several decades ago, there was no such thing as a "launch party" for a book, or at least I had never heard of one. Books entered the world on a certain official "pub date," but I never knew or cared what the date actually was. A carton of my personal author copies would arrive at the house, and that's how I knew the book had come to exist as a tangible, physical object. Now all my author friends host launch parties for their new books, at a local bookstore or library, and we all go to each other's parties. It's a wonderful opportunity both to support fellow authors and to get together to socialize. It's rare in life that we get the chance to celebrate our achievements, or rather, that we take the chance and make the time and effort to do so. But why not celebrate whenever we have something worth celebrating? I just read this line from the inimitable Oprah Winfrey: "The more you celebrate your life, the more there is in life to celebrate." Last night the Boulder Bookstore, our community's treasured independent bookstore, hosted the celebration for my most recent book, Write This Down. It was a magical evening for me in every way. The small presentation space was crammed full to overflowing; my assistant for the evening (provided by the store) counted some 64 people in attendance. 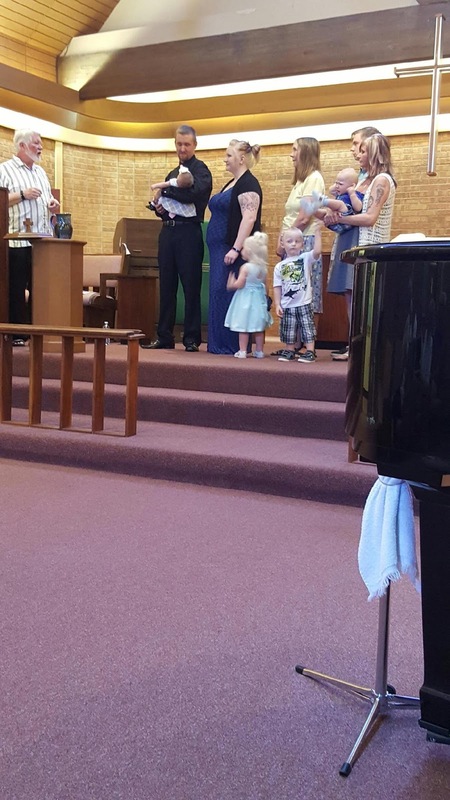 Who were these people who joined me in this joyous christening of my newest book child? My fellow authors: members of my "old" writing group, members of my "new" writing group, and authors I've met at various "write-ins" at each other's houses and, of course, at each other's launch parties. My beloved church family: St. Paul's United Methodist Church turned out in force! My nephew Terry, who must have brought ten other family members, neighbors, co-workers, and friends. Former philosophy department colleagues and graduate students. Neighbors and friends both old and new. Even some strangers! The store managed to get me some terrific publicity in both the Boulder Daily Camera and the Denver Post. I think my talk went well. Heck, why should I be so modest? My talk was one of my minor triumphs. The heroine of my book, Autumn, is an aspiring seventh-grade writer who scribbles love poems for her secret crush, Cameron. Fifty years ago (!) I was an aspiring seventh-grade writer who scribbled love poems for multiple crushes. I saved them all and was able to share some of the most extravagant ones last night. My best advice to young writers: save everything you write! you will be glad you did! Thank you, Boulder Bookstore, for hosting me so well and so warmly. Thank you, beloved friends, for showing up en masse to fete the arrival into the world of this newest book. Thank you to all those who would have come if they could and who sent congratulatory emails and texts. Yesterday all I felt like doing was preparing for this celebration. Today all I feel like doing is thanking anyone and everyone who was a part of it. It was to be a month in which I had no looming deadlines, no accumulated store of Loathsome Tasks to dispatch, no trips to prepare for or recover from. 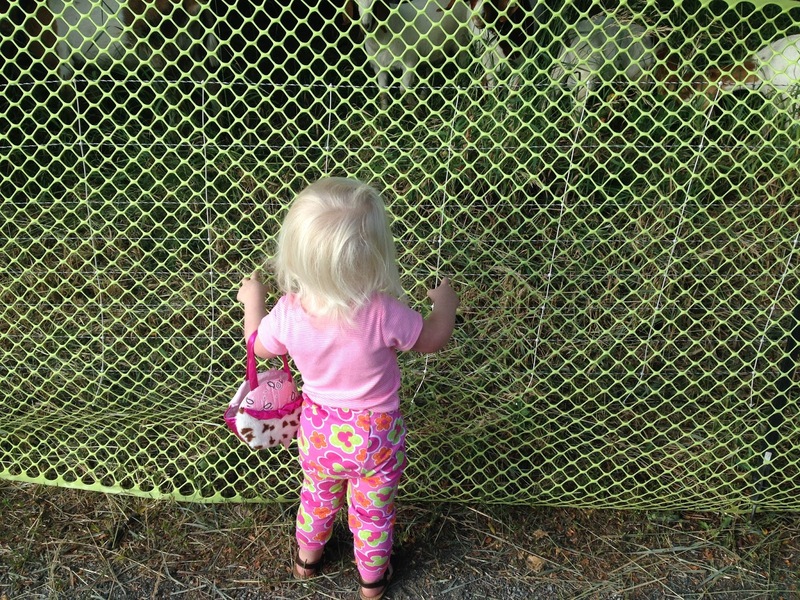 It would be a month in which I would have three days a week, 8:30-2:30, when my adored two-and-a-half-year-old granddaughter would be off at her adorable preschool to play with her sweet new friends. Time to write a proposal for a new chapter book series for my publisher! Time to revise and expand my scholarly paper on Ginger Pye and Pinky Pye by Eleanor Estes. Time to research an idea I have for a picture book biography! Time for everything! Alas, a week into the month, I must confess that my vines have been been loaded and blessed with a most paltry amount of fruit. Here's why. I wake up each morning at 5, as I am wont to do. But instead of hopping out of bed to make myself a mug of Swiss Miss hot chocolate and settle down to write, I think, "Oh, but I have all day! I'll have SIX WHOLE HOURS to get work done." And so I snuggle back down under the covers and doze a little bit longer. Or I do wake up but instead of writing I do some email or read one of the huge stack of books I have from the library for my judging of the Children's Literature Association's Phoenix Award. After all, those tasks have to be done, too, right? And I'll still have SIX WHOLE HOURS to get real work done later. But when later comes, when those six beautifully empty hours finally begin, I find I've somehow lost all desire to work. It feels to me that today is already as good as over, and oh well, it didn't work out as planned. But not to worry! The month is still young, and so much time awaits! And then this same scenario repeats itself. And repeats itself again. This shouldn't surprise me. I've had decades now to learn this basic truth about how I work. If I don't give my first, best hour of the day to the work I think is most important - in my case, writing - I'm not going to get the writing done at all. Period. I've been getting more work done on my time-pinched days than on my time-luxuriant days, because on those rushed days, I've followed my tested routine: get up early, drink hot chocolate, write for an hour, walk for an hour. Then I hug myself with joy for the rest of the day - and end up accomplishing all kinds of other little things as well, with all that momentum to carry me forward. Why do I have to keep reminding myself of this over and over again? I know that early hours work for me, and nothing else does. I know, in fact, that ONE glorious early hour is all I need to have a happy, productive life. So tomorrow I will leap from bed - or straggle from bed - or crawl from bed - at 5 a.m. I will write from 5:05-6:05 while sipping hot chocolate. I will do it! I will! I will! If I do, the rest of my life will be wonderful. If there is anything I know for certain, this is it. My sister and I both adore the self-help books of the wise, witty, and wonderful Barbara Sher. We've practically memorized whole stretches of her first book, Wishcraft, published in 1979. What makes Barbara Sher such a brilliant life coach is that she doesn't encourage readers to try to change themselves: "All I'm going to tell you right now is that you won't have to change yourself because, one, it can't be done, and two, you're fine the way you are." Instead, she offers practical advice for how to create an environment in which somebody like you can thrive on her own terms. That is to say, our task is one of environmental design: what do I need to be the best version of myself? Once we answer this question, the rest is all just logistics. Lately I've been doing a lot of detective work to sleuth out the parameters of an environment in which I survive and flourish. I already knew that I require, on a daily basis, what I call my "four pillars of happiness": writing, reading, walking, and friends. The beauty of these four pillars is that engaging with them is something almost entirely within my control: I can choose to spend my time this way, or not. They cost me nothing, at least in terms of money; they do take time, but it's time spent doing what I love best. So whenever I sense my life drifting off course, I remind myself of these four elements that for me are the foundation of everything. I also need at least one hour a day to work undisturbed. Lately that's been hard to find, so my environmental design challenge has been to find that time. I wrote about this in a post back in June. 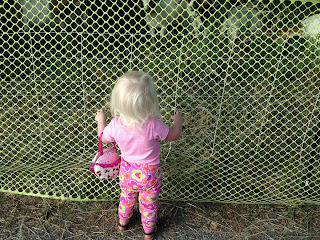 Since then I've located a near-perfect solution, as my adorable but distracting resident two-and-a-half year-old now attends the world's sweetest little preschool on MWF 8:30-2:30. It doesn't give me an hour a day, exactly, but it certainly gives me an abundance of just-me time every week. Now I'm coming to realize that I also need a few days a month when I'm elsewhere altogether. 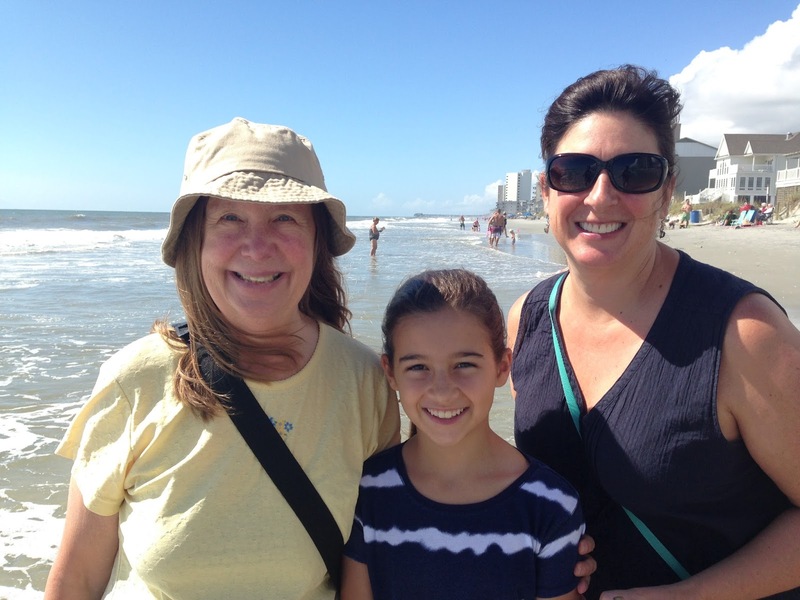 Not too many: I was desperately homesick for the first five months of this year when I was a thousand miles away from home, teaching in Indiana. But three days away from home a month is bliss. Or two, or four, or five. Six starts to feel a bit too long - but only a bit. So now I have my new environmental design challenge: to find a way to absent myself from home for a short stay each month. The challenge comes with these conditions: The trip can't cost very much. Ideally it would cost nothing. Ideally I would not PAY to do it, but GET PAID to do it. Added bonus: I'd get paid to do it in a way that would advance my writing/scholarly career AND be fun AND involve seeing old friends AND take me to some place beautiful. My trip last month to South Carolina met all of those criteria. I do have a trip lined up for November, to give some talks at Carleton College in Minnesota. In December I have a family gathering to which I'll travel in a nephew's car and stay at a niece's house, so a low-cost getaway. I have two work-related trips in February, one to D.C. and one to Missouri, and another one to Missouri in March. One I have to pay to go to (tax-deductible); for the other two I get paid - hooray! Now I need to put on my thinking cap - or rather, my environmental engineer's hard hat - and figure out delectable outings for October, January, April, May, and for every month for the rest of my life after that. Luckily, inspired by Barbara Sher, I love environmental design challenges. Bring 'em on! What better use of what's left of my brain power than to create a life in which I can be the happiest me that I can be? My new middle grade novel, Write This Down, enters the world today. 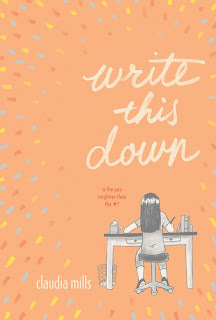 All my book children are dear to my heart, but this book might be especially dear because it's about a seventh-grade girl who is an aspiring writer, and I was once that same seventh-grade girl, give or take. I loved to write the way that Autumn does, and I sought publication in every venue I could find, though back then the only serials I was familiar with were The Reader's Digest and Ideals Magazine: both sent me plenty of rejections. In writing the book I also drew on my philosopher/ethicist self by giving Autumn the moral dilemma most authors face at some time or another in our careers: how much should we write about our own lives, where this also means writing about the lives of our loved ones? If we don't draw on material from our own experience, our stories can feel artificial and contrived. But if we do, they can feel like - and be? - a betrayal. "To publish or not to publish?" is the hard choice Autumn faces at the end of the novel. I'm lucky enough that the wonderful publicist at my publisher, Farrar, Straus & Giroux has organized a blog tour for Write This Down, which begins this week. So I'll be sharing all kinds of thoughts about the creation of the book - including snippets of my own childhood writing - on the sites of six generous bloggers who will take turns hosting me all week long. I'll post links when I have them! Definitely one of the best things about my former job as a professor of philosophy at the University of Colorado at Boulder was interacting with graduate students. I had the privilege of teaching and mentoring them. In return, they enriched my life in so many ways, from teaching my younger son to ride a bike to inviting me to visit them once they were "grown up" and settled in jobs of their own. I ended up teaching at DePauw because of two former grad students, Jen and Rich. Right this minute I'm in Myrtle Beach, South Carolina because of two former grad students, Renee and Dennis. Today I'll be giving a talk on immigration ethics to philosophy students and ethics center fellow at noon. At 1:00 I'll be giving a guest lecture in an adolescent literature class. Later in the afternoon, after lunch with students and faculty, I'll be a guest speaker in a creative writing class, talking about my career as a children's book author. Tomorrow I'll spend the whole day as a visiting author at Renee and Dennis's fifth-grade daughter's elementary school. I love when I get to be my whole self: philosopher, children's book scholar, children's book author. And I love it best when I can be my whole self somewhere beautiful. Yesterday Renee, Dennis, Amelia, and I had lunch at a restaurant overlooking the ocean. As we ate - and gazed - I pumped Amelia for information her school robotics club - book research! 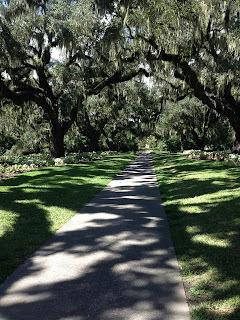 Then we were off to Brookgreen Gardens, almost 100,000 acres of beckoning paths, live oak trees draped in Spanish moss, lush greenery, riotously colored flowers, and serene fountains. I'm so grateful to Renee for organizing this wonderful trip for me. 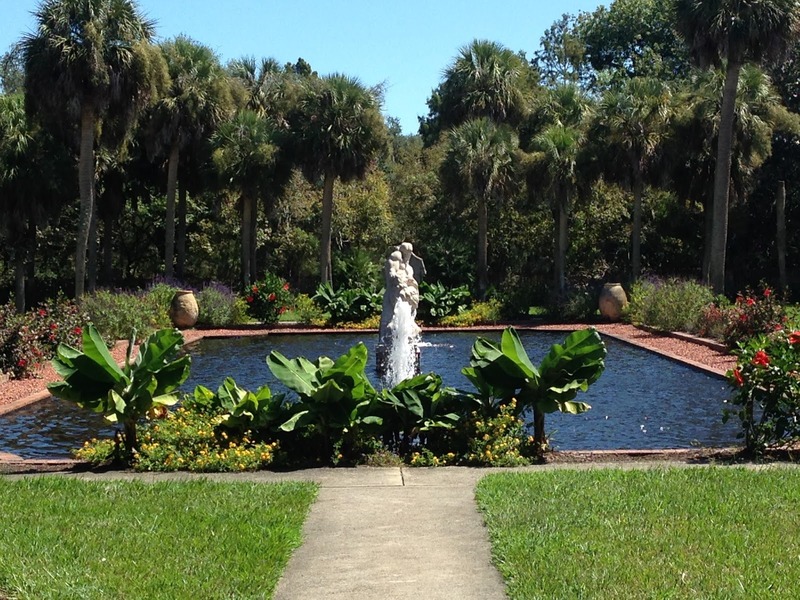 I can't wait to talk to the students at Carolina Coastal University today and at Carolina Forest Elementary tomorrow. I have seashells to take home to Kataleya and Madilyne. And even though I've washed away the sand between my toes, I'll remember the soft feel of it beneath my feet for a long, long time. I'm back at DePauw University for two delicious days, attending the Young Philosophers Symposium hosted by the Prindle Institute for Ethics. I'm done now with my frequent gigs as a visiting professor here (six semesters over the course of the last five years), or at least I think I am, but I'm not done with loving DePauw, or the little town of Greencastle, or the farmland of western Indiana. It's so wonderful to be back. But I didn't want to come back as a ghost. In Maud Hart Lovelace's wonderful novel Emily of Deep Valley, orphaned Emily has graduated from high school but isn't able to go away to college because of obligations to her aging, widowed grandfather. Lonely, as her friends depart to new adventures, she finds herself haunting the halls of Deep Valley High School. When she sees a flash of pity in a favorite teacher's eyes, she finally realizes: "She wasn't still a high school girl. And she couldn't keep on pretending to be one forever. She didn't belong here. She was a ghost." I'm grateful that I didn't have to come back to DePauw as a ghost. Andy Cullison, the extraordinarily energetic and effervescent director of the Prindle Institute, invited me to serve as one of three outside blind reviewers for the Young Philosophers Symposium. We were charged with reading the forty or so submissions - full-length papers in a wide range of subfields of philosophy - and ranking each one on a 10-point scale. The four Young Philosopher competition winners - "young" meaning "early career scholars within six years of receiving the Ph.D." - were then invited to campus to present their work in a series of eight talks, each one giving both an introductory-level talk and a research-focused talk, over the course of a very full two days. 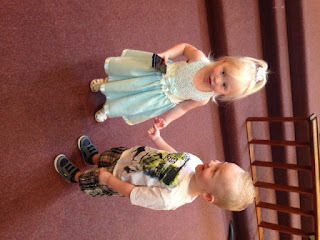 And - this is the best part - the three outside reviewers were invited, too. So here I am, not as a ghost but as a guest, staying right on campus in the lovely Inn at DePauw and attending stimulating talks with titles like: "The Power No One Should Even Have," "How Much Should You Believe in Your Friends? ", "Achievement - What Is It and Why Does It Matter?" and "Who Owes What to War Refugees?" I've also had time for long, leisurely chats with many dear friends, a meeting of the Honor Scholar thesis committee of a beloved former student (I get to serve on her committee despite no longer being a current member of the DePauw faculty), early morning walks on the quiet streets of Greencastle, and hugs from multiple chance encounters with former colleagues. I still belong! I have a contribution to make, a role to play, and all the intellectual and personal fun that comes from continuing to be a small but real part in a small but real way of this community I love. I like to switch up my time management strategies occasionally. As one self-motivation tool starts to lose its efficacy, I try out a different one, hoping that its sheer novelty will do the trick of getting me back in a productive gear. If, after a month or two, or a week or two, or a day or two, it loses its ability to prod me into action, well, at least I had that month, or week, or day of getting something done. My current favorite is one I read about somewhere recently, but alas, can't remember where (and couldn't find it through Googling). I'm calling it "The Power of Five." It's remarkably simple. Just put five things on your to-do list for the day. Then do them. The beauty of the five-item list is that it's vastly less daunting than the usual hundred-item list that leads only to paralysis and despair. It's a fun early morning challenge to decide which five items make the list for each day. Obviously you'll want to start with the single most urgent and/or important task, the one that, if you managed to accomplish it, would in itself give you a glow of satisfaction for the rest of the day. But what should the other four be? I like my list to have a mix of at-my-desk jobs and errand-type of jobs. Errands, of course, are terribly seductive, as you can get lovely little check marks with relatively little effort; errands can be accomplished somewhat mechanically. So beware of too many easy items on the list. But an errand or two can be a nice way to round out a day of desk sitting. Best of all, for me, is to have one little teensy thing that takes hardly any time at all and yet has been lurking in the corners of my mind for months or years and driving me quietly crazy. 1. Work for an hour groping toward the idea for my next book. 2. Work for an hour getting a rough draft done of a recommendation letter for a former grad student. 3. Write one promised guest blog post. 4. Go buy a surge protector at Home Depot that I've been meaning to get for ages. 5. Have a fun outing with my toddler grandchild. 1. Finally finish my overdue work on a certain task for the Phoenix Award Committee (this would have been in itself TOTALLY enough for one day, but why not strive for five?). 2. Organize my thoughts for an article I've been assigned to write on "birthdays in children's literature." 3. Go to the bank and get the money I need in order to make change for books I may sell (or fail to sell) at a children's literature festival in Denver this weekend. 4. Read at least one and preferably two of the birthday-themed books I had gotten from the library the previous day as one of that day's five tasks. 5. Mend the small tear in a blue top that has been waiting for my attention since last summer: as in summer of 2015. The five-item list also has the power of getting me to make one extra push at the end of the day if an item on the list remains undone, staring at me reproachfully. After all, I only had to do five things today. Am I really going to wimp out after four? No! Scrambling around to find one small, doable, but enormously satisfying item to serve as number five has led me, in the week now that I've been using this system, to have a surge protector I should have had five years ago and a newly mended top! Yay for the Power of Five! My besetting work-related sin, and maybe yours, too, is panic - that sinking, suffocating feeling of being totally overwhelmed, staggering under a too-long to-do list as the too-fast clock ticks its frantic beat into my desperate ears. I thought September was going to be the month when at last - AT LAST! - I would have time to tackle all my accumulating work projects. My darling little granddaughter will start preschool, attending three days a week, MWF, 8:30-2:30. All of a sudden I'll have 18 reliable hours a week just for me!! But then I remembered: I'm actually going to be gone mid-month on a week-long trip, first to Indiana and then to give three talks in South Carolina, leaving a week from Wednesday, that is to say, a week from the day that preschool begins on September 7. So now I have not a whole month but one week to prepare all three talks, write a children's book article promised with a September 20th deadline (now a September 13th deadline, as I leave on the 14th), face my overdue work on the Children's Literature Association's Phoenix Award committee, and also try to work up a proposal for a new chapter book series in the wake of another rejection, a few weeks ago, of my latest project. If I don't do it soon, I'll have zero - that is to say, ZERO! - books in the pipeline, and my career will be over, and I'll never be a children's book author ever again. That was my panic last night. This is my talking-myself-off-the-ledge post this morning. 1. Take a deep breath. And then another. And then another. 2. Remind myself - well, actually, I have my husband handy to remind me of this - that I always feel this way about my work schedule, and I always get it all done, and it always turns out just fine. 3. Don't make things sound/seem worse than they really are. Those three talks? One is on the ethics of immigration policy, for which I can recycle a good bit of my lecture notes from teaching last spring at DePauw. One is a creative writing talk, talking about what I know best in the whole world, which really needs only an hour or two of preparation. One is my standard school visit presentation, which just needs some updating of my Power Point slides. Why did I feel the need to make it all sound so huge? 4. Don't make tasks bigger than they need to be. The children's book article that is now due in a week and half? The person who asked me to write it did so because he had heard a talk I gave on the subject. He isn't expecting me to rip up that talk and start anew, just to tweak and embellish. And, frankly, maybe I shouldn't say this, but I don't expect the article will be read by more than a few dozen people. I want to do a good job, but I don't have to turn this into a whole year-long research project. Especially because I don't have a whole year. 5. My Phoenix Committee work isn't actually overdue (see #3 above); it's just that others on the committee (well, two of the four others) have done lot more than I have so far. So I'm now officially in the slower half of the committee. So what? Stop comparing myself to others. Yes, two members have done more than I have. One hasn't. Last year I was the eager beaver. This year I can let that honor go to others. Do I always have to beat everyone else to the finish line? Um, no. 6. That said: it really will be a problem if I don't start working on that new chapter book series idea. It's true that it doesn't have to be done this month, or for that matter next month, or really ever. If I don't get it done, I've broken no promises to anyone else on earth. But it means a lot to me to keep on writing and to keep on being published. This task is less urgent than the others, but of all of them, it's the most important. At least, it's the most important to me. So I need to find an hour here, a half hour there, to keep plugging away on it. Here I have to remember two things: Prioritize what matters most. And: Enough little bits of time add up to a lot. But I have to keep those little bits coming. This is the first week of school for the University of Colorado, where I taught for 22 years as a tenured professor in the Philosophy Department. It's the first week of school for DePauw University, where I taught as a visiting professor for six blissful semesters over the course of the last five years. It's the first full week of the new school year at Boulder Valley Public Schools, where both of my boys were educated from kindergarten to high school graduation. My two-and-a-half-year old granddaughter, Kataleya, had her first day at Sunflower Preschool yesterday (and our feverishly undertaken potty training held up under the stress!). But it's not the first week of school for me. Instead I've spent the week savoring every minute of a visit from a high school friend from New Jersey - actually, a friend from first grade on. In third grade, when I acquired the inevitable cereal-company-inspired nickname of General Mills, I founded an army to chase the boys at recess. Kim was the army's only other member, my reluctant but obliging private. For the last decade or so, we've enjoyed annual visits, me returning to New Jersey to connect with her when I was there for various writing-related events, she flying to Colorado for time in the mountains. 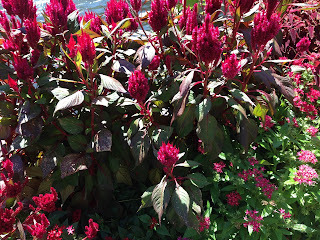 On this visit, we spent one day at the Denver Botanic Gardens, one day at the "Women of Abstract Expressionism" and "Rhythm and Roots" exhibits at the Denver Art Museum (both excellent), and one day, the best day, up in Rocky Mountain National Park. What could be more fun than that? And yet . . . it feels strange not to be going back to school myself, to be playing while others are working, wandering past paintings and waterfalls while others are finalizing syllabi and welcoming students. Maybe I really truly am retired now? No. My own "back-to-school" frenzy will be observed the week after Labor Day, which is actually when school should begin, the way it always did when I was growing up in New Jersey (and where it still does, I believe, on most of the East Coast). That will the week of Kataleya's official start to preschool. That will be the week I leap into productivity as a full-time writer. I will work hard on my new chapter book series idea, my THIRD this year, rebounding energetically and enthusiastically from my publisher's rejection of ideas number one and number two. I will revise and expand several scholarly children's literature articles and ready at least one and preferably two to submit for publication. I will read up a storm as a member of the Children's Literature Association's Phoenix Award Committee, which gives an award for a children's book published 20 years ago that did not receive a major award in its year of original publication but deserves one now. So I am definitely going back to school, or at least back to work, on the day after Labor Day. There is still time for me to buy myself some new school supplies! There is still time to put on a red plaid jumper! And to sharpen pencils, and organize notebooks, and make "new school year" goals. Summer is lasting a bit longer for me this year than for my friends and neighbors, but in two more weeks, I'll be ready for the best school year ever. The University of Colorado Philosophy Department just finished hosting its 9th annual huge, amazing summer ethics conference, the Rocky Mountain Ethics Congress, known as RoME (to the confusion of the uninitiated, who marvel that so many of us seem to be talking about heading off to spend part of August in the Eternal City). Even though I'm now an emerita (retired) member of the department, I still help review submissions for it, volunteer to serve as a commentator for some paper in my area of expertise, and attend as much of it as I can. Many of our former graduate students return for RoME, so it feels like a grand, glorious reunion. This year I attended a bunch of terrific papers. One was on "effective altruism": are we morally required to do as much good in the world as we can, even if this means, for example, "earning to give" - i.e., choosing a career with the highest possible salary so that we can make the largest possible charitable contributions to the most proven life-saving charities? Another was on the ethics of "disability passing": is it ethically problematic if disabled people hide, or at least avoid openly disclosing, their disability (one question raised: should an amputee disclose this fact on an online dating website?). The paper I commented on, by Rebecca Chan, was on what she called "The Problem of Self-Transformation." The central question she posed was: From the standpoint of self-interest, is it rational for me to prefer to become someone who will be radically different from my current self - though happier - rather than a less happy person who feels connected to who I currently am? It was a lovely paper that raised all kinds of fascinating thought-experiments: e.g., should Jon, who suffered childhood trauma, now wish he hadn't been brutalized in that way, even though the trauma made him who is today? I love thinking about questions like this as I reflect on my own life and its many transformations. Over the course of the last six decades, I've changed my political and religious views radically (sometimes back-and-forth and then back again). I've become a wife, mother, grandmother. I've left philosophy, come back to it, left it, come back to it, perpetually ambivalent about how much it defines my identity, how much it is part of who I am. At RoME, I always feel glad that I've come back to philosophy yet again. When I heard Rebecca's paper, I thought, THIS is why I DO like philosophy, I do, I do! The closing keynote, by the brilliant Nomy Arpaly of Brown University, titled 'In Defense of Benevolence," looked at this puzzle: does love require that I commit myself to advancing the beloved's most central goals and aims? what if these are at odds with her well-being understood as something distinct from mere goal advancement? She used as a central example of a goal we might not support wholeheartedly the building of the world's largest ball of twine. Well, as it happens, it was exactly a year ago that I departed from the final session of the RoME conference to head off on a road trip to Branson, Missouri, with a writer friend who was researching a novel whose events transpire on a girlfriend road trip. We spent our first night in Cawker City, Kansas, home of, yes, the world's largest ball of twine. Yay for philosophy! Yay for girlfriend road trips! 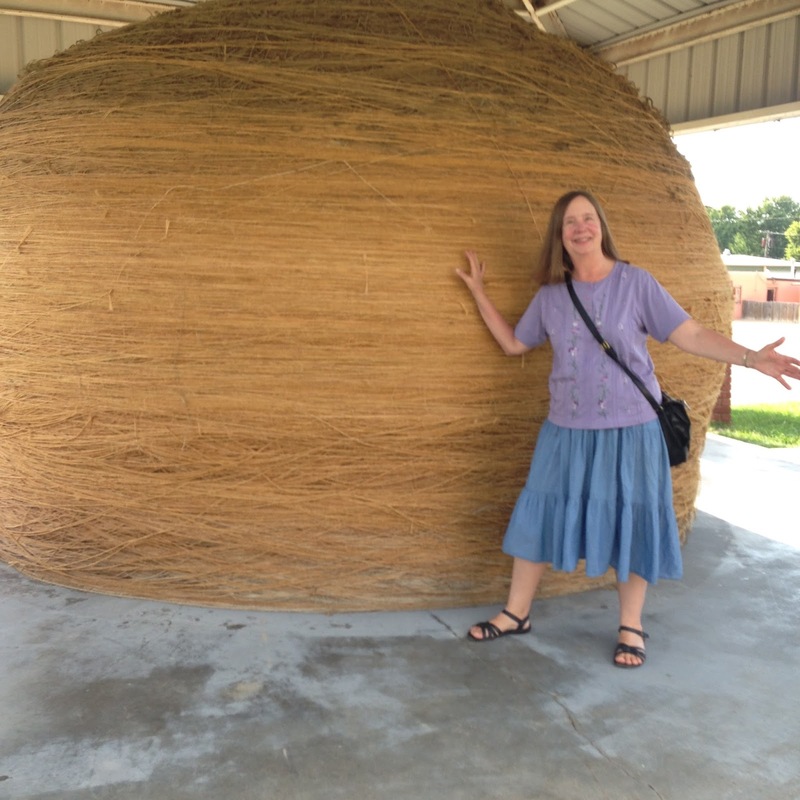 Yay for very big balls of twine! Yay for all of it that has made me the happy person that I am today. What I love about life is how we sometimes find ourselves wandering farther and farther along on fascinating paths we never intended to trod. Last spring, during my semester of teaching as a visiting professor of philosophy at DePauw, I volunteered to teach a course on a crucial, urgent, timely topic: the ethics of immigration policy. I knew it would be a fiendishly difficult class to teach, given both my staggering level of initial ignorance of the subject and its potential for intense controversy. But I chose to do it, anyway, believing that students, and citizens, need to know more about immigration policy in light of the heartbreaking refugee crisis in Syria and the incendiary anti-immigration election rhetoric here at home. I taught the class. 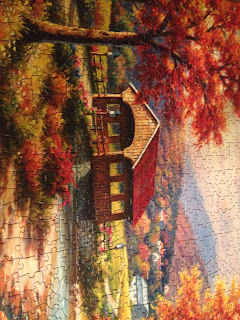 It was hard - often exhausting, and frustrating, and tense. But I learned a ton teaching it, and I think my students learned a ton, too. Whew! I thought I was done thinking and talking about the ethics of immigration policy for a while. When I returned home to Boulder, the worship committee at my church asked me to preach a sermon for Peace and Justice Sunday, focused on immigration. I was asked to give a reprise of that sermon at a worship service our church hosts twice a month at a local retirement community. A friend asked me if I'd have lunch with him and his middle-school son, an extremely bright and thoughtful boy who happens to be interested in . . . immigration policy. That's what I did today, and I can report that Ben would have easily earned an A in my undergraduate course. 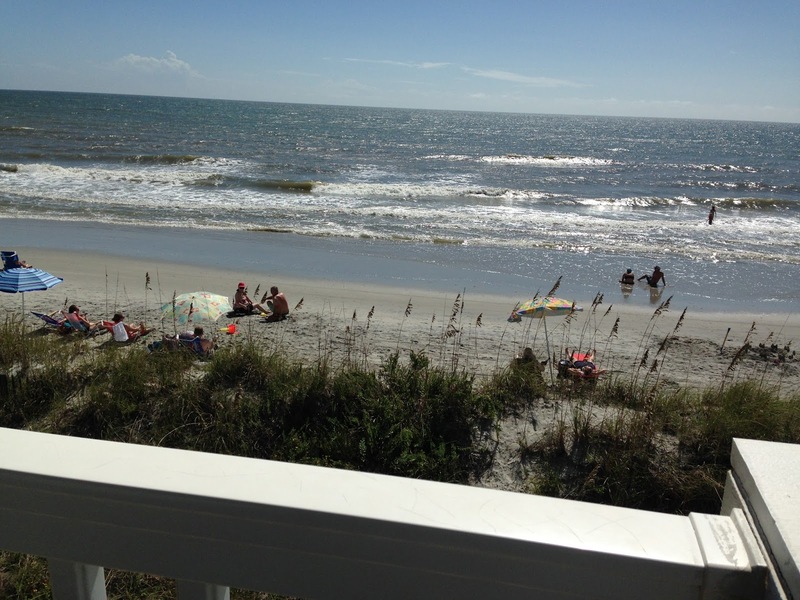 This fall I'm going to Myrtle Beach, South Carolina, at the invitation of a former graduate student, now a faculty member at Carolina Coastal University. She arranged a multi-tiered visit where I'll speak to her daughter's elementary school and to university creative writing students, as well as to philosophy students and fellows in the university's ethics program. What topic did they want me to present in the ethics talk? Yes, they thought the students would be most interested in hearing something about . . . immigration. Last, but certainly not least, I'll be a more informed voter in November, a better citizen than I was a year ago when I first had the idea of seeing if I could prepare to teach this course. So next time I have a challenge I'm not sure about, I'm going to say yes. And then I'll follow that path where it leads. This is how bad of a "book mother" I am to my own "book children." 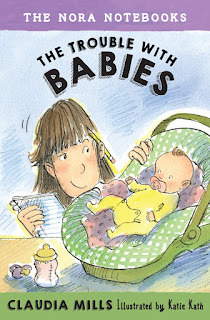 I didn't even realize that today was the pub date of my newest title, The Trouble with Babies, the second book in the Nora Notebooks series, until my agent sent me a congratulatory email about it this morning. I had the vague idea it was coming out some time in September. In any case, this is my 55th book, and I guess I've become a bit lackadaisical about "pub dates." Unless you are J. K. Rowling with the whole world waiting for a midnight release party for the latest Harry Potter, the actual date of a book's publication matters very little. But, oh, Nora, I do feel guilty for forgetting all about you! Once I got my agent's email, I hastened to post the cover on Facebook, and friends have been generously clicking "like" for it all morning. And now I'll give this new book its own small shout-out here. Fourth-grader Nora (from The Trouble with Ants, BCCB 10/15) should be overjoyed: it’s the season of the science fair, which she loves, and her older sister is about to have a baby, making Nora an aunt. Unfortunately, on the school front, she’s been partnered up for the science fair with classmate Emma, who loves cats, the color pink, and, especially, her own way. On the home front, super-competent Nora is completely thrown by baby Nellie, uncertain of how to interact with her and startled by her scientist parents’ and sister’s descent into baby-craziness. Mills deploys her usual sympathetic yet keen insight into her characters as Nora negotiates these challenges. The book is particularly thoughtful in exploring the implications of personality; Emma proves there’s more to her than Nora had credited, and Nora both gets over her discomfort with the baby and adjusts her view of herself. As in the last book, segments from Nora’s scientific journal are interspersed, this time containing her research and observations about babies. Kath’s monochromatic line and watercolor art is scribbly without being cartoonish, conveying energy and also respect for the kids. The problems are standard middle-grade challenges that will ring true to readers, while the thought-provoking reflections on personality and growth add insight and discussability. So, welcome to the world, my sweet little book. I'm a forgetful, neglectful mama, but I do love you, I do! I've been continuing to struggle with the same work/life balance issue ever since I returned home from Indiana two months ago: how do I find any time at all for my early morning writing and walking while living with a beloved little girl who tends to wake up VERY VERY EARLY - while one of her parents has left for work well before dawn and the other is zonked out exhausted after a night of sleep interrupted from bouts of nursing? I still have no good solution except to note that the earlier I get up, the better the day goes. Plus, sometimes willful toddlers don't get their own way and have a good ol' tantrum about it, and that's okay. And sometimes, I learned recently, I don't get my own way - and the results can quite wonderful. The other day Kataleya got up just as I was about to leave at 5:30 a.m. for my cherished hour-long walk with poor little Tanky the dog who lives for our outings. 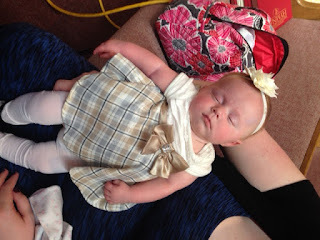 (In houses with new babies, older siblings aren't the only ones temporarily dethroned). But there Kat was, doing what she always does whenever I prepare to leave the house: running to get her shoes, as if they were some magical talisman to ensure that she can come, too. "Shoes on! Shoes on!" she wailed inconsolably. Oh, well. Often I come up with some excuse she will accept: Mimsie has to go to work, Mimsie has to go to that mysterious thing called "a meeting." This time, I sighed, loaded child and dog into the car, and drove down to Viele Lake. 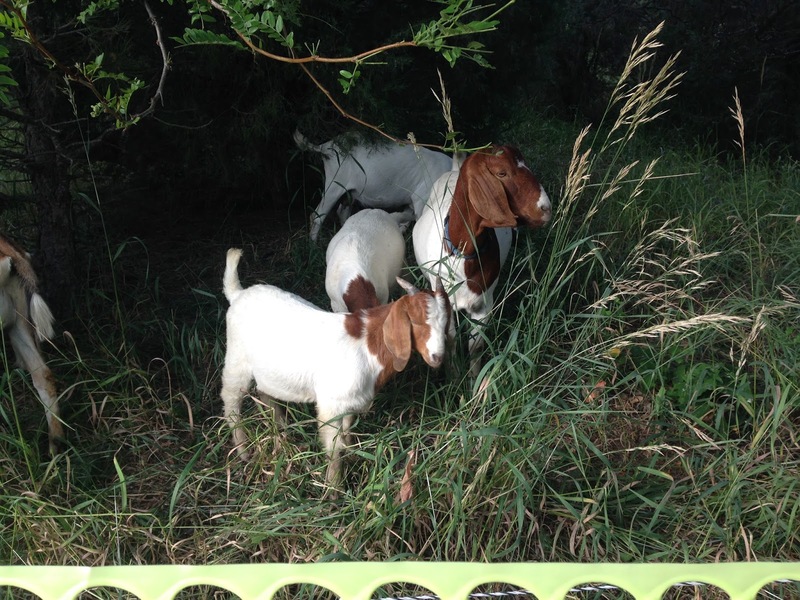 Because this time, I had something splendid to share with her: goats!!! What a magical half hour the three of us had, in that crisp, cool dawn air, so close to two dozen goats that we could practically reach out to touch them. Before she became an acclaimed novelist, Elizabeth Berg was a frequenter contributor of personal essays to the women's magazines I love to read. I still remember one from decades ago. She wrote about attending an elementary school music program and looking at her watch to make sure she wouldn't be trapped there for too long. Then she had a revelation: if she didn't have time to hear little children playing Mozart, what more important thing did she have time for? Her answer: nothing. Ditto for spending the first, best hour of the day with a two-year-old and a flock of hungry goats. 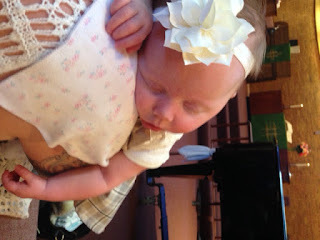 Today was the baptism of my second grandbaby, Madilyne Jane Wahl, who will be two months old tomorrow. It then proceeds through all the stages of human life, from birth to death, celebrating God's presence in all of them. Unfortunately, the pictures that are right-side-up on my phone, and right-side-up when saved onto my computer, and right-side-up when I emailed them to friends, are (well, some of them) at the wrong angle here. So you'll have to tilt your head to see them. But when I tilt my own head to see them, I view them through a film of happy, grateful tears. 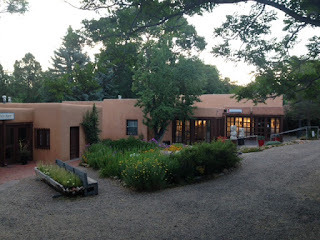 A few months ago I got an email from the Rocky Mountain Division of the American Society for Aesthetics asking if I would give a keynote address at their summer conference in Santa Fe. Well, I love giving talks, and I love Santa Fe. There was only one problem: I don't really know anything about aesthetics, or the philosophy of art. My area of specialization is ethics. I assumed that they had invited me by mistake, confusing me with some other better-qualified philosopher, and I wrote back to tell them so. They replied that they had indeed intended to invite me, hoping I could give them a "creative artist" talk on philosophy and children's literature. And I said, why, yes, that is exactly the kind of thing I could do! The conference was this past weekend. Santa Fe is only a 6 1/2 hour drive from Boulder, so I invited my husband to come with me, and he accepted that invitation as well. But then I became consumed with doubt and guilt about how I would manage all my competing obligations: 1) give a good talk at the conference; 2) attend other sessions of the conference; 3) see an old friend friend from graduate school, a photographer/blacksmith/art historian who lives near Taos; 4) develop a new friendship with the wonderful, kindred-spirit philosopher who had invited me; and 5) make this a little holiday for me and my husband as well. I really think I ended up doing all of those things. My talk was well received. I heard ten other talks and came away fired up to do more reading and maybe some writing as well on topics presented at the conference. I stole time for a leisurely lunch with the artist friend and had late night one-on-one heart-to-heart conversations with two other friends. I had dinner with my husband every night, and we also had a lovely drive up to Los Alamos to ponder the fascinating, tragic chapter of our national history that was the Manhattan Project to develop the atomic bombs dropped on Hiroshima and Nagasaki during World War II; he and I also savored the gorgeous scenery through the most gorgeous stretches of scenery in Colorado and New Mexico. Sometimes it's a mistake to try to cram too much into too few days. Sometimes it's a mistake in life to try too hard to have it all. But this past weekend, I loved being able to combine work and play, professional development with deep, meaningful connections with friends old and new, plus family fun, too. I did have twinges of guilt for missing some conference sessions, but everybody misses a few. I did have a few pangs for abandoning my husband during most of each day, but we had more quality time together on the trip than we would have had at home. Best of all, I had long, quiet walks early each morning, all alone, past the art galleries on Canyon Road, time just for me. I had time, that is to say, for everything.